1. You can do it yourself! Yes you can! It is really really simple. 3. 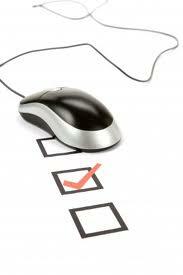 Diverse distribution channels – survey can be accessed via email, facebook, twitter and on a website. You are allowed to question the people you wouldn’t meet in the park! 4. Convenience – respondents (people completing the questionnaires) have autonomy over time and place where they choose to answer survey questions. 1. Low response rate – people have friends to talk to, pictures to see, who has time to answer questions? 2. Sample not representative – this is especially true when you’re distributing a survey on facebook/ twitter. You have no control over who is answering. You might want only Jamaicans, or persons within a specified age group who are Jamaicans! The fact remains that people outside your specified demography can and will answer your survey – especially when there is a good prize to be won. Possible Solution: only distribute general surveys on Facebook/ Twitter, where the demographics of the sample is of little significance. 3. Missed deadlines – since people have complete autonomy as to when and where to answer your survey, the responses might be slow in coming, which might delay your entire project. Possible Solution: In the case where you have an email listing – follow up emails and possibly phone calls would be appropriate to remind persons to complete survey. In the case of twitter/ facebook – it would boil down to an incentive issue again! Where early respondents would be better place to win, or something special (similar to ladies free before 12pm). Please leave a suggestion/comment, we do appreciate it.